The great southern icefields of Patagonia are waiting to be discovered. From the granite pillars soaring more than 2,000 metres into the sky in Torres del Paine National Park to the vast glaciers of Los Glaciares National Park this, region is the perfect complement to your Icons of South America tour. Fly to El Calafate, the gateway to the Los Glaciares National Park in Argentine Patagonia and enjoy a relaxing three night stay. 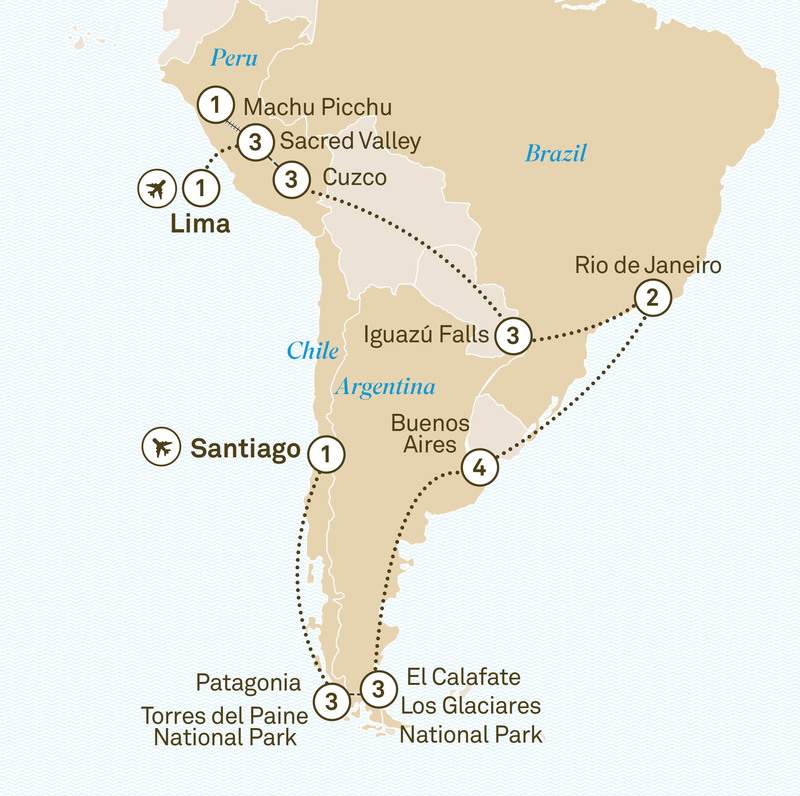 Discover the Galapagos, Amazon & South America on a 27-day luxury tour. Highlights include Iguazu Falls, Machu Picchu & the incredible Galapagos Islands. Venture deep into the Amazon for a 28-day tour exploring Machu Picchu, Iguazu Falls, Rio de Janeiro & the spectacular Torres del Paine National Park. A beautiful journey across South America through five countries. Highlights include Torres del Paine National Park, Iguazu Falls & incredible Sacred Valley.